Sewer problems are disgusting and often messy. They’re the type of problem that no homeowner ever wants to have to deal with. Unfortunately, clogs and backups are more common than many people realize. When dealt with promptly, most sewer line clogs are relatively easy to deal with. When ignored, however, they tend to get worse and result in nasty messes and property damage. Your sewer line plays a vital role in the sanitary removal of waste and wastewater from your property. As a result, any problems with this system need to be addressed right away. At GT Campbell, we offer professional sewer cleaning in Brighton, NY to keep your system flowing like it should. Modern sewer systems are mostly self-sufficient. They tend to work like they should with minimal intervention. Sometimes, however, problems arise. Clogs may form from grease, food debris, paper and foreign objects. Blockages may also occur as the result of tree roots growing into the line. While a small clog may just slow down your drains, a complete blockage could result in raw sewage backing up into your home. 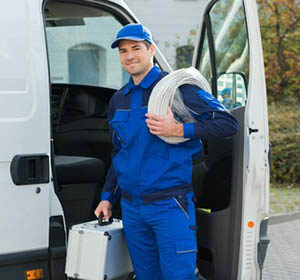 When you need sewer cleaning in Brighton, NY and the surrounding communities, we can help. At GT Campbell, we are proud to offer expert sewer line cleaning services to eliminate blockages without tearing up your property. We can remove most clogs without digging up your sewer line, and we strive to make the cleaning process as neat and minimally invasive as possible. If you think your home’s sewer line needs to be cleaned, contact GT Campbell today to schedule an appointment with one of our expert plumbers.